Bound to another breakthrough, the Schools Divisions Office Proper (SDOP), has signaled its journey to International Standardization of Organization(ISO) certification, ISO 90001:2015. The anticipated 6-month duration beginning July 2018 to December 2018 of the ISO certification on Quality Management Systems entails full blast of challenges for the SDOP personnel however they are ready to embrace it with commitment to be part and live with it. The concept of the standardization was initiated by Dr.Evangeline P.Ladines, Schools Division Superintendent, in consonance with the strategic goal of modernizing educational management and governance. The realization of ISO shall make SDOP to be at par in terms of public service. Likewise, its continuous improvement shall bring forth a threshold of an effective and efficient organization. Embarking on the ISO 9001:2015 Certification on Quality Management Systems(QMS) shall be the main concern during the audit and evaluation. Meanwhile, in the preparation of the ISO certification, Dr.Ladines created a core group composed of SDOP personnel who will lead in the entire process. The initial engagement was the presentation of proposals by the certification firm consultancy services who will aid the organization to conform with the standardization. 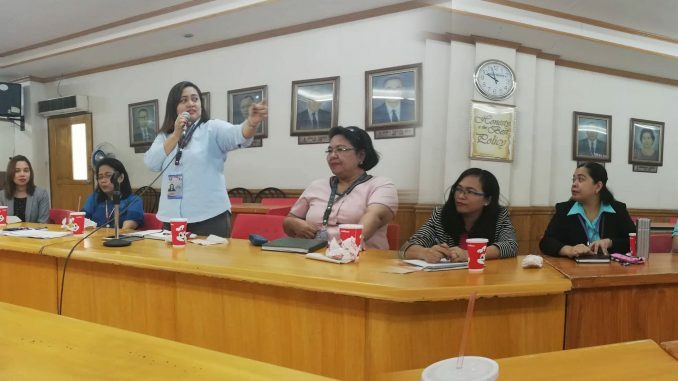 On the other hand, Dr Melody P. Cruz, OIC-Assistant Schools Division Superintendent, organized a core group to work on the Terms of Reference (TOR) for purposes of the procurement and conformity with R.A.9184 (Procurement Law) last July 9,2018.This will be followed with the conduct of the two-day Awareness Course of twenty-six personnel who will take the lead role in the ISO Certification Process. It is tentatively scheduled between July 23 to 27,2018. Expenses to be incurred in the ISO certification shall be charged to the SDOP MOOE.